In the previous Mid-Side post (Mid-Side Part 1) I covered Mid-Side setup and recording. In this post I’ll be covering decoding methods. If you didn’t read part 1 you may want to go take a look at it as it is a good starting point for those who have not used the Mid-Side technique or those who want to learn more about it. Before we start I want to talk about organization. At the end of day you will be left with a healthy chunk of files you will need to manage and keep organized. It is extremely important you think about this beforehand. This will make decoding and processing more efficient, allowing you to focus your time on what is needed most. There is also no better DAW platform or OS, so chose the tools that work for you. Most of what you will read here can be applied on a variety of platforms. There is no shame in using what you got so go blow it up and tear it up and have fun! On the market today there are variety of plugin options when it comes to Mid-Side decoding. This is great and I will cover some of those options later in this post. The first topic I will be covering is the method of decoding without plugins. Decoding without plugins is a lot easier than some may think. In fact there are a lot of people that don’t know this is possible and end up spending money on plugins they may not need. 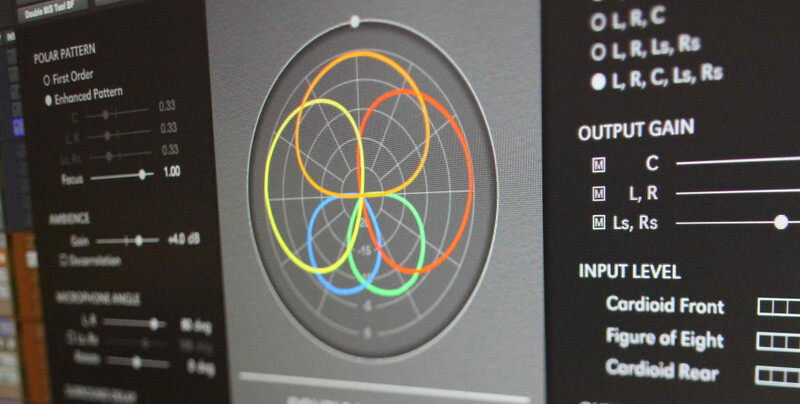 Lets take a closer look at decoding or what some call matrixing within your DAW. I will assume you have already spent time doing phase alignment. which may or may not be necessary depending on your MS setup. We will start by decoding mid-side to stereo. Later you will see that if understand how to decode mid-side to stereo, mid-side to LCR will be easy! Stereo: Create 1-stereo track and 3-mono tracks in said order. Name the stereo track master, the first mono track mid or middle, the second track left and finally the 3rd mono track will be named right. Pan the “mid” track center, the “left” track to the left and the “right” track to the right. insert a 1 band EQ on each of the mono tracks. This insures each track will incur the same processing load and delay. I still like doing this even though I may have delay compensation turned on. 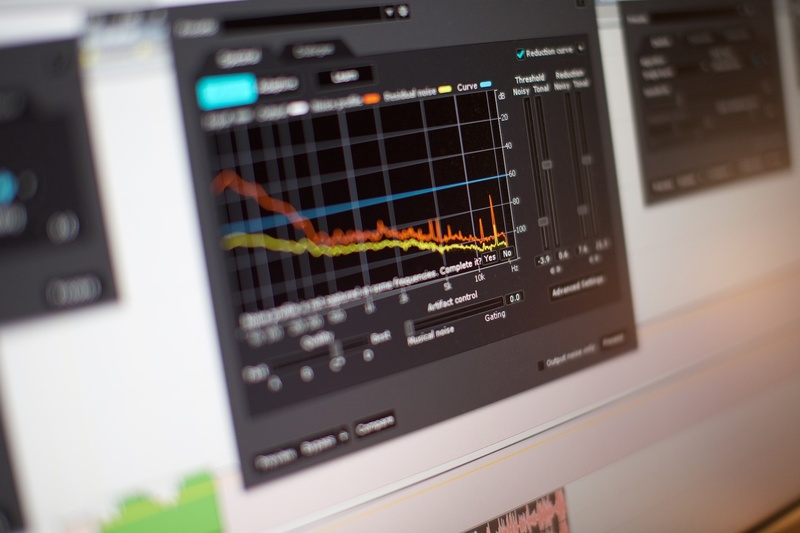 Open the 1-band EQ on your “right” track and reverse the phase. The stereo (master) track will serve as a the starting point. I usually make my edits on the master track. After you have finished your editing making sure the stereo track is muted drag your two channel mid-side recording on to the stereo track. If you haven’t had the chance now is time to rename your file. Now copy your mid-side recording down from the stereo master track down to the “mid” and “left” tracks and copy the “left” to the “right rear” track and your done. LCR: Going from stereo decoding to LCR decoding is very straight forward but involves some explanation. Start off by using the same method as when decoding mid-side to stereo. The result is the sum of information which in the gives stereo. Flashback to my pervious Mid-Side part 1 post where I state one of the benefits of recording in the mid-side format is that it is also mono compatible. The mid or middle channel is also forward facing making the mid channel also center. Combining the decoded stereo mid-side recording with duplicated unprocessed mid channel panned center will give you LCR. left rear and finally the 3rd mono track will be named right rear. Pan the “mid rear” track center, the “left rear” track to the left and the “right rear” track to the right. insert a 1 band EQ on each of the mono tracks. Just like the above method, this insures each track will incur the same processing load and delay. Open the 1-band EQ on your “right rear” track and reverse the phase. The stereo track will serve as a the starting point. 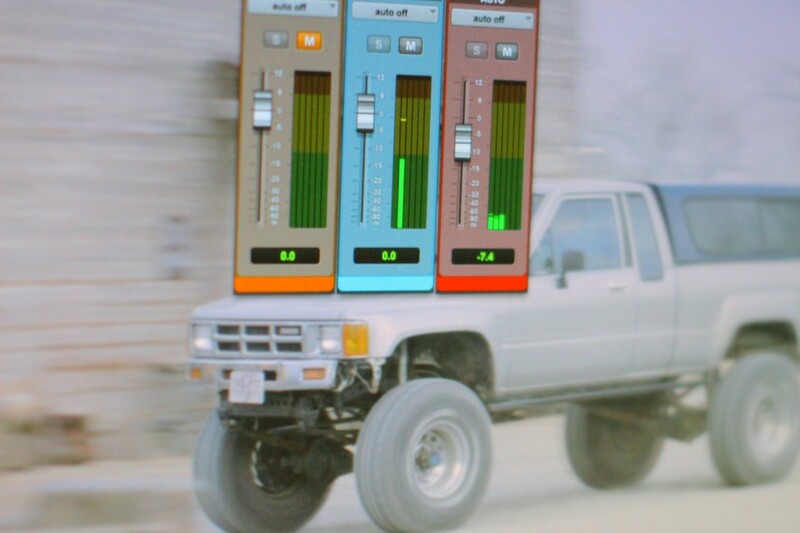 Making sure the stereo track is muted, drag your mid-side recording on to the stereo track. If you haven’t had the chance, now is time to rename your file. Again just like above method copy your mid-side recording down from the stereo master track down to the “mid rear” and “left rear” tracks and copy the “left rear” to the “right rear” track and your done. Now that you know how to process MS without any plugins I would like to show you the method which I use for setting up decoding with plugins. As before, it is nice to have one session in which you do all your MS processing. Doing so will decrees the amount time needed for processing. I find myself really liking the Schoeps DMS decoder as the plugin gives a lot of control and will do everything from stereo MS decoding to 5.0 DMS decoding (if you want to do 5.0 you will neeed front, side and rear elements (microphones)). When I process my MS or DMS recordings using this plugin I generally have it inserted on Aux track which is feed by my MS or DMS recordings. The Aux where my decoder is inserted then feeds 1.) LCR and 1.) 5.0 track. This allows me a bit of flexibility in the dubbing process. For example: I generally when I recording Mid-Side I like to decode to LCR since this will give me three useable channel layouts(mono, stereo and LCR) in one file. With DMS having the same benefits a 5.0 dub gives Mono, Stereo, LCR, quad and 5.0 channel layouts all within the one file. Everyone likes free stuff! Here are a few free mid-side decoder plugins available today. If you are aware of a free mid-side plugin I missed please let me know so I can add it to the list. Here are a few sample recordings. Please make sure to download the uncompressed samples. These samples are free to use. I just ask you to notify me if you use any of the samples in commercial work.